Fibromyalgia Test - Is There an Accurate Test? Is There an Accurate Fibromyalgia Test? Why can’t you just give me the fibromyalgia test? This is probably one of the most common questions that doctors hear from patients who suspect that they or a loved one are suffering from fibromyalgia. It sometimes comes after the patient has spent some time researching their symptoms online and feels that the list of symptoms for fibromyalgia explain what they’re going through. You may or may not need the blood test for fibromyalgia, and for some people it will not be feasible due to cost. You will need to check with your insurance provider to see at what rate they cover the blood testing. It could be up to a thousand dollars or more. If your insurance does cover it, you will need to complete paper work before going back to the doctor. Often times, it is a process of ruling out other conditions first. In some cases, the patient has been tested for multiple conditions, but all test results have come back normal. When it’s suggested that fibromyalgia may be a possible explanation, the patient is eager to receive a diagnosis and get on with treating the discomfort and pain that is interrupting their life. Unfortunately, as many fibromyalgia sufferers learn quickly, there is no single fibromyalgia test that is proven to diagnose the condition accurately 100% of the time. This is often a diagnosis that comes after all alternative explanations for the symptoms are ruled out, but that doesn’t mean that there is no additional testing that could help you reach a positive diagnosis. Living with symptoms since the age of 9, and now at 50, I am one of those who was diagnosed with fibromyalgia before it was rarely talked about. That means I know what it is like to feel the stigma, to chase cures, to live and work with it, and to ultimately help you avoid those pitfalls that can cause you to feel defeated. You can read our diagnosis article as a good starting point. Some of the points I make there are VERY important for your long term success. One of those important points to remember is that the doctor that diagnoses your fibromyalgia is not the same doctor that needs to treat your fibromyalgia. Too many doctors do not know how to properly treat fibromyalgia. That is exactly why I do this. We know without a doubt, that throwing meds and drugs at fibromyalgia is not the proper way to treat it effectively, especially long term. I get it, it is easy to get desperate for relief, but understanding your individual root causes and addressing those is not only effective, but empowering. 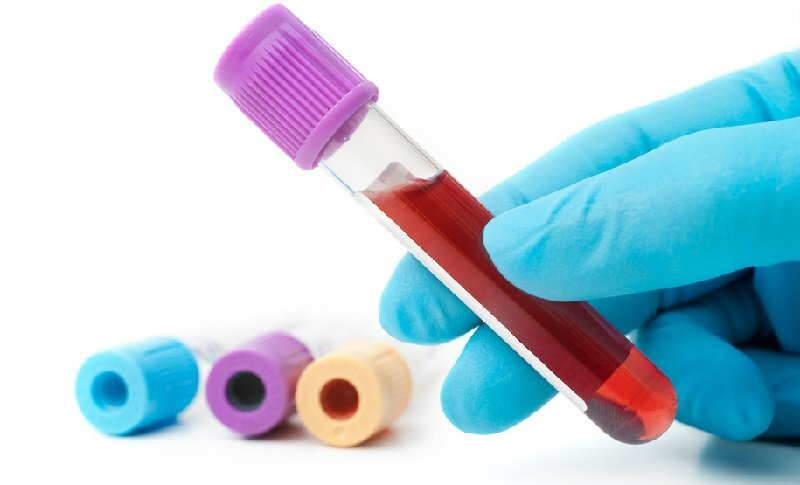 This is a simple blood test that looks for white blood cell counts and specific proteins in the blood that fibromyalgia sufferers have in common. This is the first test developed that has proven effective for the diagnosis of this condition, and it can potentially alleviate the emotional and physical pain that many people suffer during the traditional diagnosis process. Although we have talked about cytokines (proteins in the blood) before in regards to fibromyalgia, I still believe that getting to the root issues is most important. If you do get the test, it will give you a number between 1-100. If you rate over 50 on this scale, you are then given a positive result for fibromyalgia. If you have ever been told that your symptoms are psychological rather than physical, this is the test that could prove that it’s not “in your head.” This test is now more widely available. You do need authorization from your doctor, and you will need to check with your insurance provider to see if the test is covered or valid for reimbursement. Getting Diagnosed with Fibromyalgia – What’s Next? If you suspect that you or someone you care about has fibromyalgia, the first step is to discuss the possibility with your primary care doctor. Come prepared with a list of all symptoms, regardless of how minor they may seem at this point. You may even want to keep a log of your symptoms so that the doctor can see how often they occur and look for patterns that may point to various explanations. You can also ask your doctor to refer you for the FM/a test if your symptoms include at least four of the basic fibromyalgia symptoms listed on the FM/a website. Some insurance carriers will now reimburse you for the expense, as will Medicare. If you feel that your doctor isn’t listening or taking your concerns seriously, getting a second opinion could be helpful. You can also use the internet to research doctors in your area. Many people with fibromyalgia end up coming here to our website and our pages because they want better answers. They want to be understood by someone living with it and treating it. Living with symptoms since the age of 9, and now at 50, I understand how to properly treat fibromyalgia and help you attain the best quality of life possible, no false cures, or quick fixes. Fibromyalgia Symptoms Are Real !! Home > Fibromyalgia Symptoms > Is There an Accurate Fibromyalgia Test?